If you want a cute, easily portable small breed dog, get a Chihuahua. If you also want a well-behaved little dog, do your homework if you heart is set on a "chi." These are definitely little dudes with attitudes. Correct socialization of the chi puppy is crucial to future behavior. Chihuahuas love their person. They may or may not like anyone else, but you are their world. Because of this devotion, chis may react aggressively to anyone they perceive as invading the space of the beloved. That includes your significant other, children, friends and parents. If no growling occurs, the chi may still bark. Admonish your dog if she behaves in this manner. She may not learn to like anyone getting near you, but she'll learn to put up with it. This is one behavior that separates the chi lovers from those on the fence about the breed. Like many small breeds, Chihuahuas are hard to housebreak. You may want to try crate training, as dogs don't like to soil the "den." Sometimes it's stubbornness, while other time it's simply the fact that these little guys don't want to go outside in inclement weather. Because they're so little, you may have some luck with paper training, a preferred chi alternative to going outside in the rain. Short-haired chis need a sweater or coat when going outdoors in cold weather. Just like people, all chis don't share the same temperament. Some are shy, some are friendly. Others are sometimes timid and sometimes outgoing. While chihuahuas usually get along with cats and other pets, be careful around larger dogs. 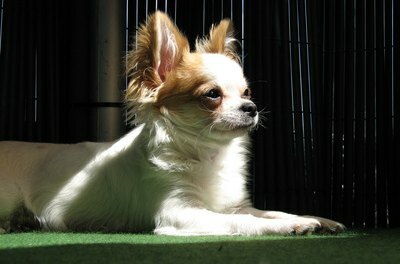 Not only can a bigger dog (and they don't have to actually be big dogs in order to be seriously larger than a chi) inadvertently harm a chi when playing, the chi may try to take on another dog. You can imagine the result. Because your dog is small, you must often protect her from her own instincts. Not only is learning to properly hold and handle your chi important, it also affects her personality. 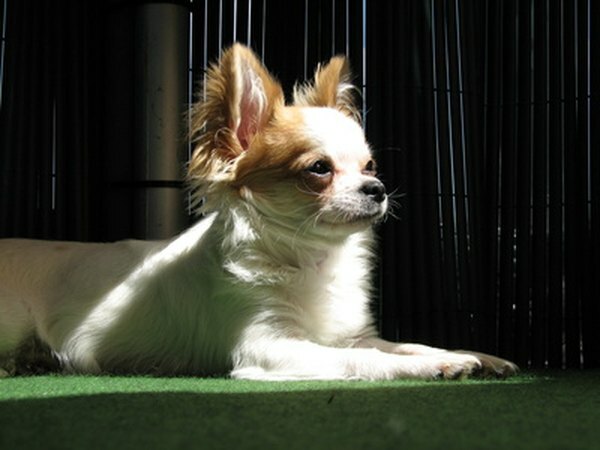 Poor handling can make a chi fearful, with fear begetting growling, aggression and biting. Nip that in the bud with careful handling. That also includes developing "chi awareness," meaning you know where your chi is all the time so you don't accidentally step or sit on him, or roll over on him if he sleeps with you.